Snoqualmie, WA ─ Start your engines! Thomas the Tank Engine invites little engineers to team up with him for a day of family fun at Day Out with Thomas: The Ready, Set, Go Tour 2016. Children everywhere can join Team Thomas when the #1 Engine pulls into The Northwest Railway Museum on July 15-17 & 22-24, 2016. Day Out With Thomas: The Ready, Set, Go Tour 2016 is presented by Fisher-Price. 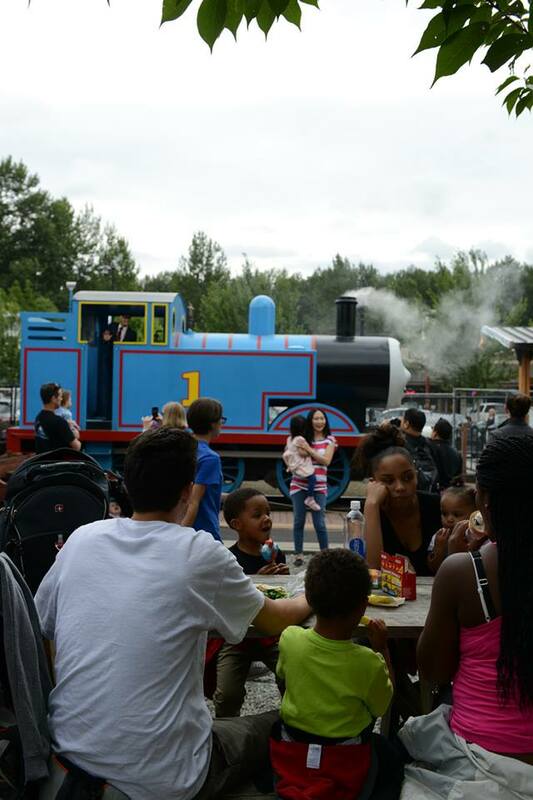 Day Out with Thomas is a fun-filled event that provides children of all ages the opportunity to climb aboard and take a ride with Thomas as well as participate in Thomas & Friends™ themed activities. The tour, now in its 21st year, will make 43 stops across the U.S. and Canada, and is expected to welcome nearly one million passengers in 2016. For two back-to-back weekends little engineers and their families are invited to take a 25-minute ride on their favorite engine, meet Sir Topham Hatt, Controller of the Railway and enjoy a day of Thomas & Friends themed activities. Thomas the Tank Engine rides depart every, rain or shine. Departure times begin at 9 AM through 4:30 PM each day of the event. Tickets for Day Out with Thomas are $23/Fridays and $25/Saturdays & Sundays plus tax for ages two and up. Tickets are on sale now and can be purchased at www.ticketweb.com/dowt or by calling toll-free 866.468.7630. For more information and directions, contact the Northwest Railway Museum at 425.888.3030 or www.trainmuseum.org.